The article is devoted to the problems of multiculturalism, since the development of various processes in the world raises the question of this traditional model of adaptation, proving its ineffectiveness and inconsistency with the present. 1. Kovshov E. M. O trudnostyakh provedeniya politiki mul'tikul'turalizma v sovremennom zapadnyam obshchestve. [On the difficulties of carrying out the policy of multiculturalism in modern Western society]. Available at: http://sword.Com.44index…philosophi social…kovshov-em. 2. Tishkov V. A. Politika mul'tikul'turalizma: teoriya i praktika. [Politics of multiculturalism: theory and practice]. Available at: http://www.bashedu.ru/ evrazia/r_s/R_Tishkov.rtf. 3. Kolodiy A. Amerykans'ka doktryna mul'tykul'turalizmu i etnonatsional'nyy rozvytok Ukrayiny. [American doctrine of multiculturalism and ethno-national development of Ukraine.]. Ahora. Vyp. 6 : Ukrayina i SShA: vzayemodiya u haluzi polityky, ekonomiky, kul'tury i nauky. 2008. pp. 5–14. 4. Kotel'nikov V. S. Mul'tikul'turalizm dlya Evropy: vyzovimmigratsii. : http://antropotok. archipelag.ru/text/a263.htm. 5. Sukonkina T.N. Fenomen mul'tikul'turalizma v sovremennom obshchestve. Praktichna fіlosofіya. 2008. No. 4. pp. 35–38. 6. Ponomareva O. Stari problemy, novi aspekty. Available at: http://www.day.kiev.ua/289355. 7. Seila Benkhabib. Prityazaniya kul'tury. Ravenstvo i raznoobrazie v global'nuyuepokhu [Claims of culture. Equality and diversity in a global era.]. Moscow Logos Publ., 2005. 350 h. 8. Drozhzhyna S. V. Kul'turna polityka suchasnoyi polikul'turnoyi Ukrayiny: sotsial'no-filosofs'kyy ta pravovyy aspekty: Monohrafiya. [Cultural policy of modern multicultural Ukraine: socio-philosophical and legal aspects: Monograph]. Donets'k: DonDUET Publ., 2005. 196 p. 9. Glushkova S. I. Individual'nye, gruppovye, kollektivnye i vseobshchie prava v usloviyakh mul'tikul'turalizma [Individual, group, collective and universal rights in conditions of multiculturalism.]. Polis Publ. 2010. No. 6. pp. 131–140. 10. Shaparov A. Ot “beloiAvstralii” do mul'tikul'turalizma. Mirovaya ekonomika i mezhdunarodnye otnosheniya. [From “white Australia” to multiculturalism. World economy and international relations]. 2010. No. 3. P. 104. 11. Merkel' konstatuye proval kontseptsiyi “mul'tykul'tury”yu [Merkel points out the failure of the concept of “multiculture”]. Den'. 2010. 19 zhovtnya. Shaі R. "Theoretical and legal problems of multi-culturalism as a traditional model of adaptation". 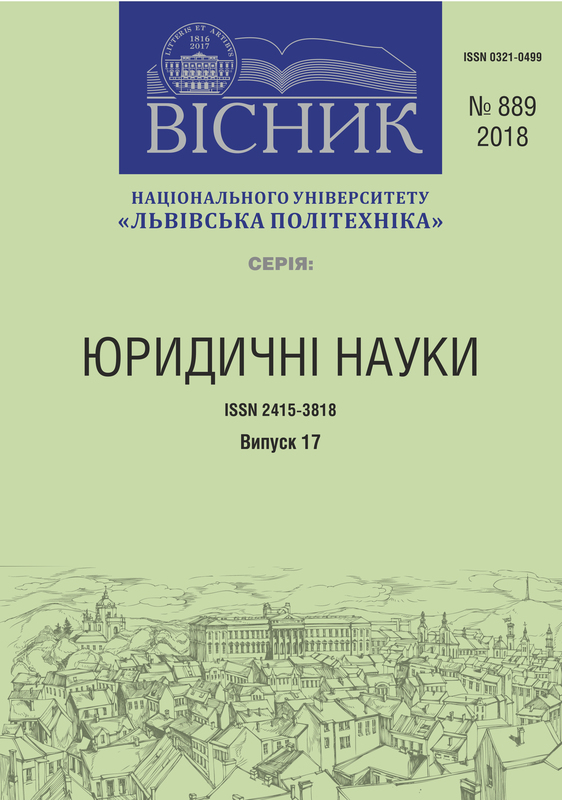 http://science.lpnu.ua/law/all-volumes-and-issues/volume-5-number-889-17-2018/theoretical-and-legal-problems-multi.